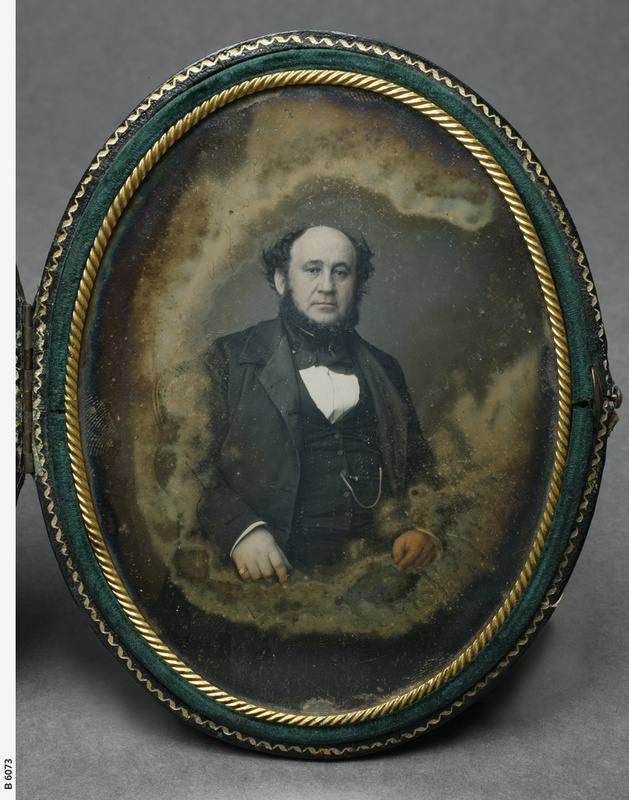 Daguerreotype portrait of Edward Stephens wearing a frock coat and waistcoat, with his watch-chain passing through a waistcoat button-hole, and a cravat. In 1836 Stephens was appointed accountant and cashier of the South Australian Company. He and his wife, Emma, arrived in South Australia aboard the Coromandel on 17 January 1837. He set up business in a tent after his arrival at Holdfast Bay. He was a founder of methodism in Adelaide and was chairman of the Agricultural and Horticultural Society from 1847-1848.